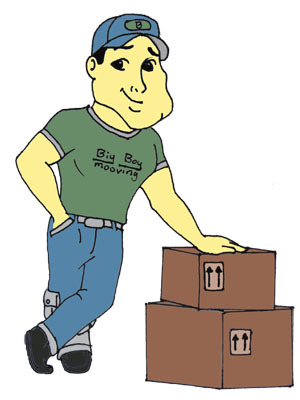 Big Boy Moving and Storage offer Full packing service to reduce some of the stress that comes with the moving experience. All you need to do is sit and relax while our high standard experienced movers pack all of your household goods before we load them into our truck. Ask our consultant about full packing service. If you don’t need a full packing service, but you have some items that you not sure how to handle- NO PROBLEM. Our trucks equipped with everything you need to pack, wrap tape and lift at all time, even without schedule this upfront. See our packing supply in the truck and for sale by click the link.